Located in Zekeriyakoy, approximately 20km North of Istanbul, the site is a distinctively steep, sloping terrain with over 7,700 identified trees. The total land area is approximately 46.7 ha, of which 25% is considered as public parkland which cannot be developed. 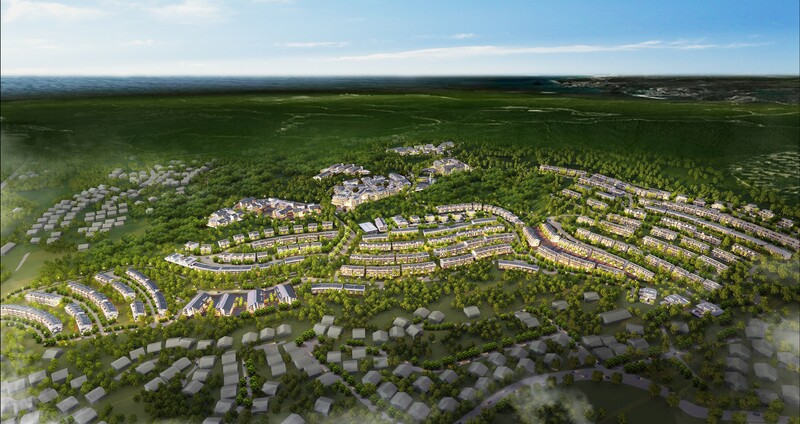 The Masterplan brief called for a mix of residential villas, duplexes, townhouses and apartments/ home-offices as well as a Commercial Centre, higher and lower school, kindergarten, three mosques, health centre and community amenities. Taking influence from Turkish/Ottoman Architecture, the scheme aims to create a contemporary, yet distinctive Turkish feel. The Landscape Design also draws heavily from this - inspiring the tree-lined avenues, created to compliment the wooded parklands and the use of local species. In contrast, the private gardens are designed as intimate courtyards to create privacy and views beyond. Villas have large pool decks and views looking South-West across the valley. The theme of modularity is also emphasised both in the façade and in the grid of the structural frame of buildings. 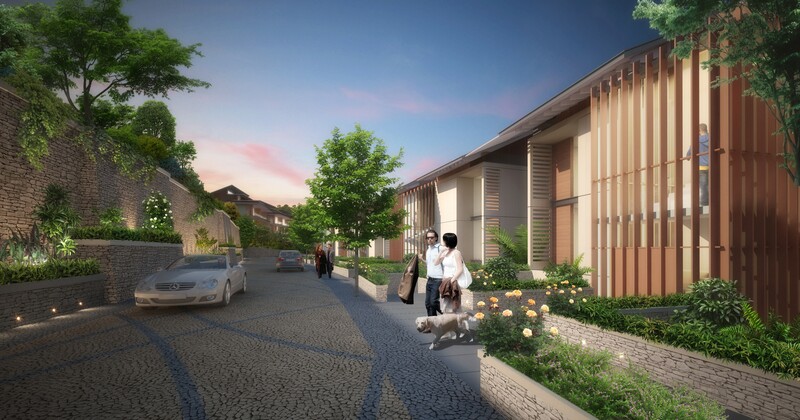 The brief required a mix of residential villas, duplexes, townhouses and apartments, as well as live-work units with a total area of approximately 195,000 sqm. 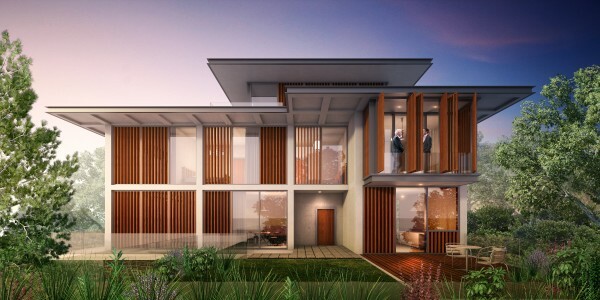 The Project Concept Design realises a total of 1,163 residential units of various types. The layout of residential units follows the contours of the site; duplexes are arranged in rows of 4-6 units, townhouses are in pairs, with twin-villas and villas forming a gentle curved pattern across the hillside. Apartments are located in the areas closer to the Commercial Centre, forming a core of high-density development at the heart of the site with the aim to create a focus for the community. 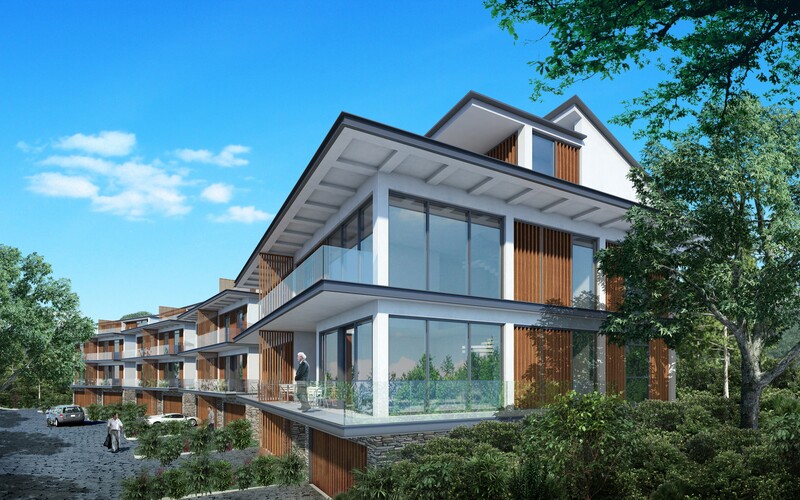 Villas are located in close proximity to municipal roads on the upper slopes of the hillsides, boasting prime views across the landscape. Materials - use of timber framing and cladding, but sometimes rendered with stone bases. 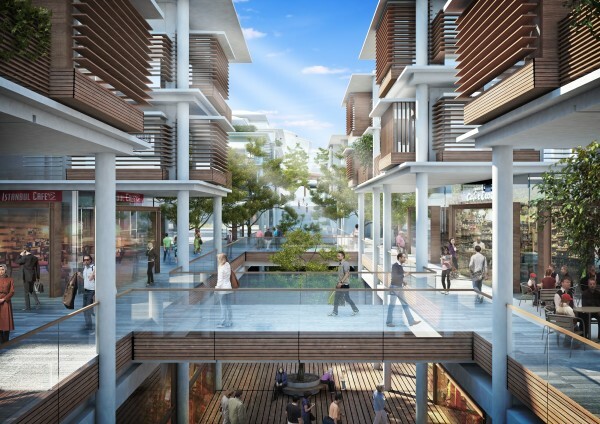 Central to the design of the masterplan is to take distinct influences from Turkish Architecture and Urban Design. This is epitomized in local towns such as Bebek, with their sleeply sloping hillsides and 4-5 storey blocks with contrasting materials, gently pitched roofscape and deep overhanging eaves.